The Kauai Marathon race organizers are gearing up for the 2015 Kauai Marathon on Sunday, September 6, 2015. The race begins at 6:00 am and while traffic will flow in and around the Koloa, Poipu, Lawai and Kalaheo areas, there will be some lane and road closures between 5:00 am and 2:30 pm. To ensure the safety of both runners and drivers, please exercise caution and patience when driving on the Southside on Sunday. 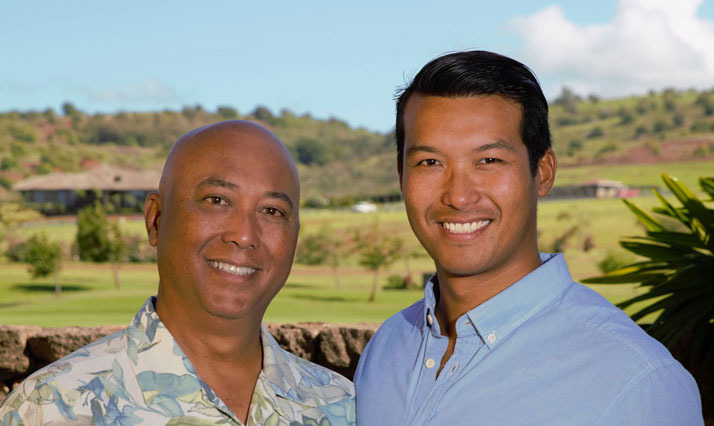 The Kauai Police Department (KPD) and Garden Island Security will monitor traffic flow throughout the course(s). Access into Koloa and Poipu will be limited to Koloa Rd and Omao Rd until 6:30am. From 6:30am until 8:00am, there will be no inbound traffic other than emergency vehicles into Koloa and Poipu. PLEASE PLAN AND SCHEDULE ACCORDINGLY. Poipu Road will be closed from Kapili Road to the Koloa Bypass, (Ala Kinoiki) from 5:30 am until 6:15 am. • Ho’onani Road will be closed from 5:00 am until 2:30 pm from Lawai Road to Kapili Road. Traffic will continue to flow in and out of the Sheraton Kauai Resort via Kapili Road. Koloa Road inbound lane from Highway 50 will be closed from 6:30 am until 1:30 pm. The outbound lane from Koloa Road to Highway 50 will also be closed during this time. Lauoho Road, Waha Road and Pu’u Roads will be closed to thru traffic from 7:15 am until 12:30 pm. All residents living in this area are advised to use extreme caution. • Omao Road from Highway 50 to Koloa Road will be closed to thru traffic from 6:30 am until 9:30 am. All residents living in this area are advised to use extreme caution. The Koloa Bypass, (Ala Kinoiki), will be closed from 6:00 am until 7:45 am. Maluhia Road both inbound and outbound to and from the Koloa Bypass through to Highway 50 will be closed to traffic from 6:00 am until 8:00 am. All traffic on Maluhia and the Koloa Bypass (Ala Kinoiki) will return to normal shortly before 8:00 am. Highway 50 from Maluhia west to Omao Road will be restricted to alternating one-way traffic in the mauka lane from 6:30 am until approximately 8:30 am. Traffic flow will be monitored by KPD at both Maluhia and Omao Roads. Papalina Road from Waha to Pu’u Road will be restricted to alternating one-way traffic in the mauka lane from 7:15 am until 12:00 pm. Traffic flow will be monitored by KPD at both ends. As runners retrace their steps via Papalina, Waha, Lauoho and Koloa Roads, the roads will re-open as indicated above once all of the runners have passed. Kukui’ula Bypass (Ala Kalanikaumaka) will be closed from 6:15 am until 2:00 pm. Outbound traffic from the Poipu roundabout to Koloa Road will remain open. The Poipu Roundabout will be heavily impacted and traffic will be slowed considerably from 6:45 am until 2:00 pm as runners enter the roundabout from Kukui’ula Bypass. Westbound Lawai Road and Spouting Horn traffic will be re-routed through The Shops at Kukui’ula. In summary, traffic will flow in and out of all south shore regions, but it is recommended that travel in these areas on race day be limited from 5:00 am until 2:30 pm. For those visitors and residents needing to reach Lihue airport from the south or west side, please plan at least 1.5 to 2 hours travel time. 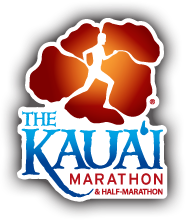 For more information and course maps, please visit www.thekauaimarathon.com. For further information during race week (August 31-September 6), please call the race office at 808-240-6525.